Guys, the Olympics are almost here. Our teams are nearly complete. Have you been watching what’s been going on in Eugene? And, oh my goodness, I had almost forgotten how hot Ryan Lochte is. I love watching swimming and diving but he makes it that much more of a must. I’m married, not dead. Anyway, these P & G commercials dedicated to Moms everywhere are killing me. I wouldn’t be where I am now if it weren’t for my Mom (& Dad). Mrs. Obi-wan is fierce, much like Kerri Walsh-Jennings’ mom, and I hope to be half the mom she is someday. I can’t wait to give it a try! Well, we went from Olympics to babies in 2.4 seconds. Let’s get back to the Olympics. Are you caught up? Lochte isn’t just a pretty face, either. He beat Phelps in the 400IM. Galen Rupp broke Pre’s 40 year-old record in Eugene. He’ll compete in the 5,000 & 10,000 meter races in London. 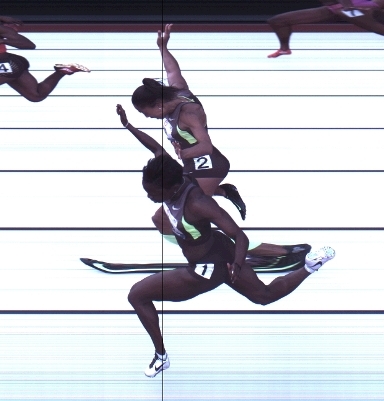 The dead heat for third place in the Women’s 100 meters and how the tie is going to be broken. Ashton Eaton set a World Record for the Decathlon. Alan Webb says his Olympic dreams are “over”. Kerri Walsh-Jennings might never have competed in Sydney, had it not been for her mom. Not an Olympian? Feel better about your foot strike by checking out theirs. Newsflash: Nadal lost at Wimbledon. Has a black hole opened up and the world been sucked into oblivion? Let’s Keep Girls In the Game. I don’t know how people set records for 100 mile races, but they do! Run like a cheetah. This will make you fast. I have a feeling we will see more of these articles as marathon season gets going next week. Overtraining can do more than just sideline you for a few weeks. Read about this powerlifter who will never lift again. Military wives getting naked to bring awareness to PTSD in the military. I support anything that will bring attention to this major health crisis in our country. On a more upbeat note, weight lifting is good for you with proper form, slowly building up & moderation! What else? What’s going on this weekend in the racing world? Anyone doing the Firecracker 10K on Roosevelt Island on Wednesday? Do you have a Fourth of July run in your town? Send me pictures! Have a great weekend everyone. I’m off to school! Oh my, thanks alot Abby. Now I’m crying at work. I hadn’t seen this commercials before. As a mom, I think they are great! Oh my gosh I’m bawling over that mom video! Geez. Got to get it together now. Thanks for sharing! This was a particularly hilarious post. SPEED POST. i laughed and happy sighed. and i supposed it is no wonder that you are able to jam comedy in with loads of facts and tid bits . 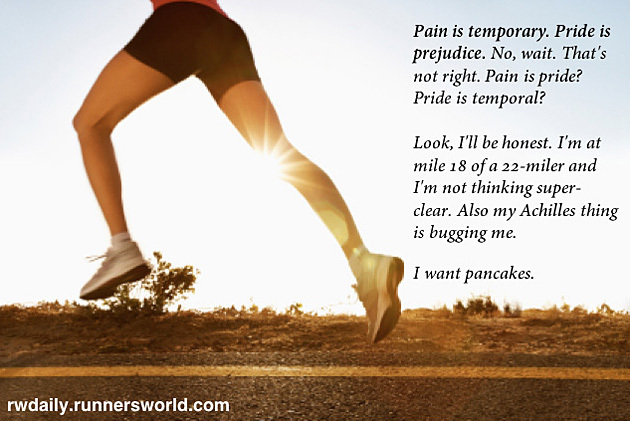 . . and only you could go from olympics to babies to pancakes in 600 words or less.